Expired 7mo ago . Last validated 1y ago . Used 2 times. veronica vasquez I am re-activating this expired deal. Just enter promo code SPICYITUP at checkout to get the discount. There may be some exclusions that will apply to this deal. Autumn Eaton Monthly boxes start at $34.95 a box. This is a subscription service so plans automatically renew. You can cancel at anymore. 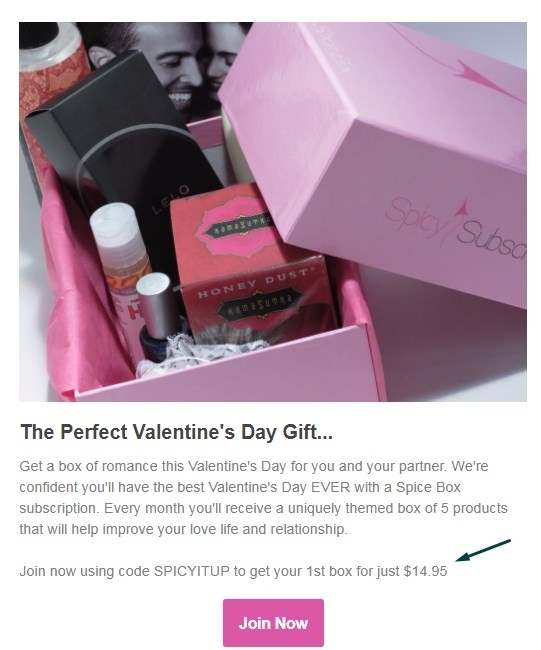 Get your 1st monthly box for just $14.95 with coupon code SPICYITUP. Enter code at checkout for discount to be applied. No expiration date listed- could end at any time.